The goat. In the public's image of the Satanism, the goat head of Baphomet has been seen almost as the poster child for it's philosophies and principles. That being of bending reality to gain indulgence of physical pleasures. Loving the body, loving sensations. They have always had a history of being compared to evil and rebellion. For farmers, sheep were always much easier to work with while goats would always fight back against the farmers orders. Since the character of Satan has always been that of rebellion it would thus make sense to symbolically link his philosophies with that of the goat. In the bible metaphorical comparisons are also made with believers and sinners being compared to sheep and goat, respectively. This is mentioned in Matthew 25:31-33: “When the Son of Man comes in his glory, and all the angels with him, he will sit on his glorious throne. All the nations will be gathered before him, and he will separate the people one from another as a shepherd separates the sheep from the goats. He will put the sheep on his right and the goats on his left. 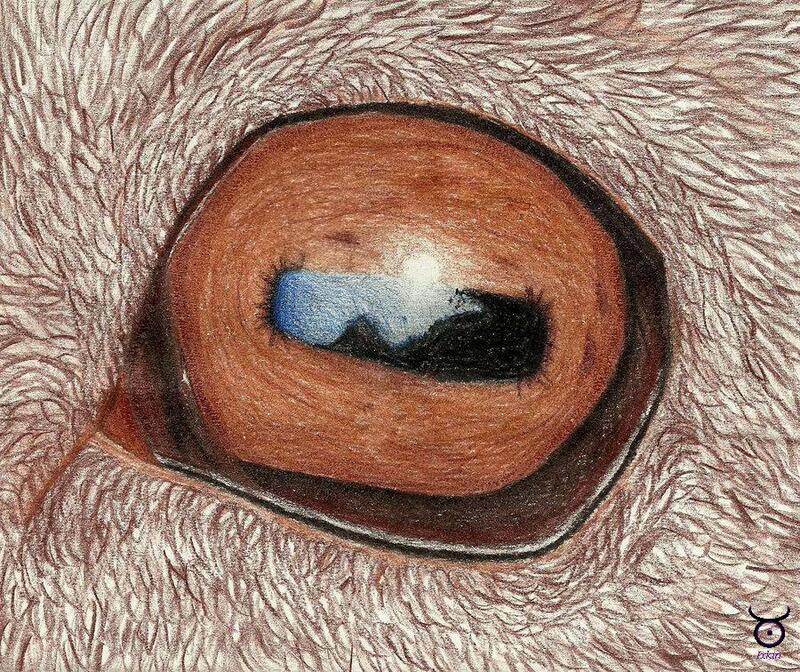 The Devil - #15 in the Major Arcana. 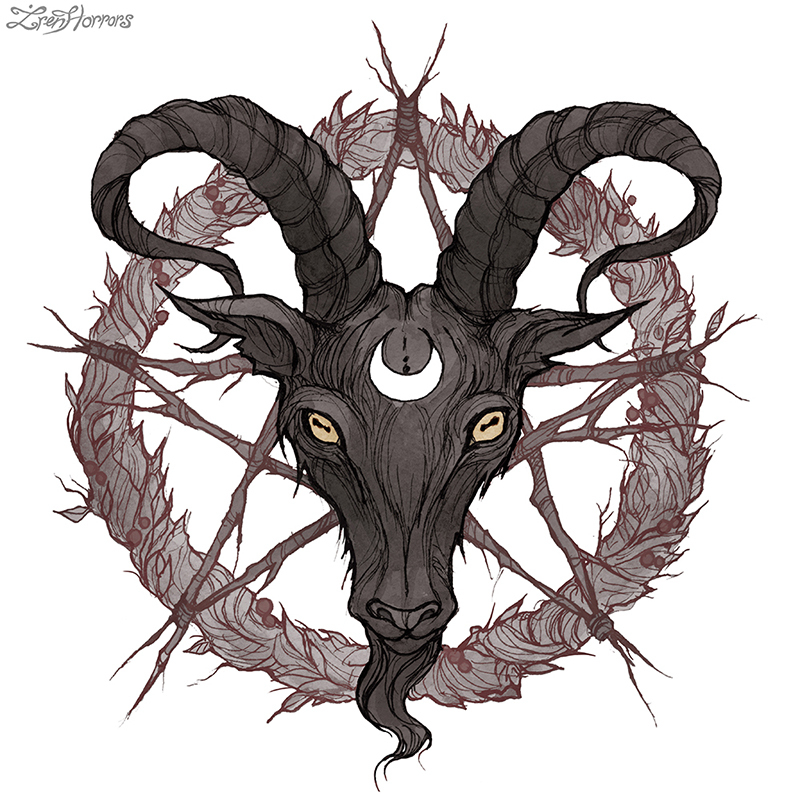 Another reason for the comparison of goats to evil are the astrological signs of the zodiac, particularly the capricorn and it's connection to the roman god Saturn. Capricorn is ruled by Saturn, as everyone knows. The goat and this god are intimately linked. 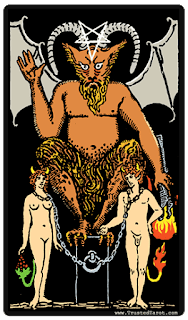 The zodiac sign of Capricorn is ruled by the Tarot card, XV - The Devil. Now, experts tell us not to jump to any conclusions, but keep in mind that this association is undisputed. Goats and Satan are linked. There are more examples that could be found within the pantheon of roman gods, such as the god Pan, god of panic and generally breaking all mental boundaries to let loose. Rams and goats were his avatars and the west roman nobility really gave him a bad name. This too played its part in giving goats their negative association today. The word "tragedy" was originally a general word referring to plays. It comes from "tragos," a word for the male goat-aka the ram, and also "ode" meaning hymn or song. Greeks and romans found it easier due to the mountainous terrain to breed them instead of bovines, thus making them the center of their rural pagan cults and religions. Pagan/Rural cults often came in conflict with their urban/central/imperial counterparts. Another interesting though somewhat off-topic fact is that around 3500-3000bc the goat was the symbol of "lord earth," the first son of God, also known as the sumerian god Enki. His other symbols were that of the turtle and fish. This is interesting because of the contrast of the depiction vs the roman pantheon. Like a complete opposite. Many religions thought rams, goats and horns were deitic symbols. As Christianity became widespread it deemed those and many others as blasphemy and false gods.